LATINA BOOK CLUB: GREAT NEWS: ELLA BOOK CLUB IS BACK! GREAT NEWS: ELLA BOOK CLUB IS BACK! Not two weeks ago, a heart broken Alisa Valdes announced that the Ella Book Club was closing so she could concentrate on her career. But, thankfully, Alisa has had a change of heart and the ELLA BOOK CLUB IS BACK! 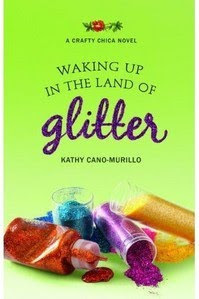 Their new February selection is WAKING UP IN THE LAND OF GLITTER by the Craft Chica herself, Kathy Cano-Murillo. For more about the Ella Book Club, visit http://www.ellabookclub.com/.